Our dear couple wanted a touch of vintage and texture, and thus decided to use a dusty pink grosgrain ribbon on the front cover, instead of the usual satin ribbon. 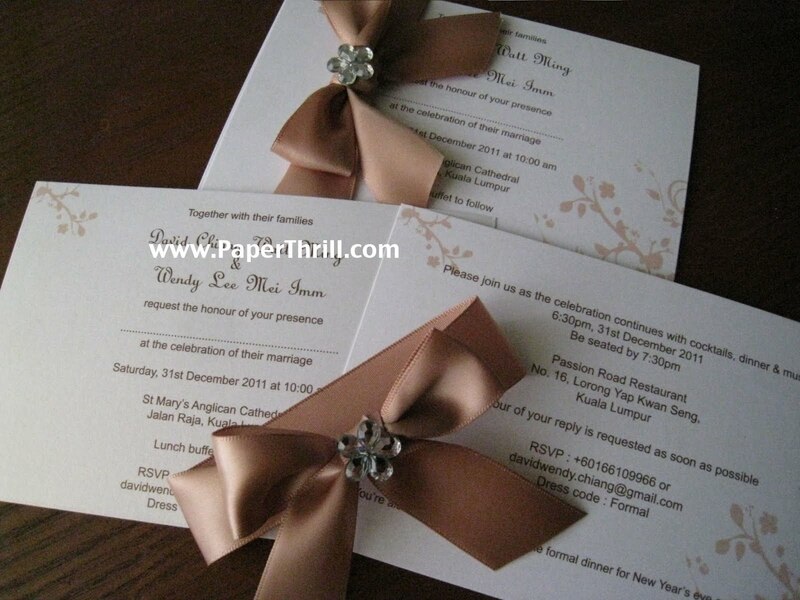 The cover is printed with 'Our Wedding' phrase, while the back sports the couple's monogram. 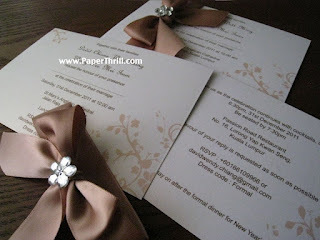 Wendy's wedding invitation was a take on floral motif combined with our popular Dainty Daisy. Instead of a single fold card, she decided to keep everything simple by just printing all the details on both side of the card and tying the card with a satin ribbon. We absolutely love this pretty wedding invitation card. 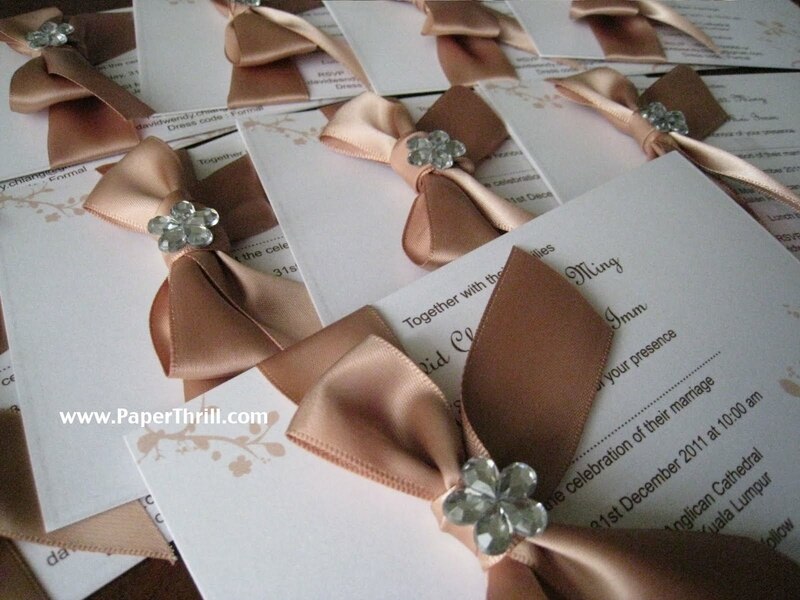 The square folded card is printed with a floral motif on a luxurious textured pearlescent card. A vellum band with a black ribbon trim is then wrapped around the card. An exquisite embroidered lace flower adorns the front of the card, adding elegance to the card. The invitation wordings are printed directly on the textured card, instead of another separate inlay thus allowing the texture to show off beautifully. *Embroidered lace flower is depending on availability. You may opt to replace it with other embellishments.